Ahead of their new album in September, Getintothis’ Will Neville is already looking ahead to another headline date for the indie stalwarts in December. The Wedding Present continue their seemingly never-ending touring schedule with a series of European dates at the end of the year. The tour is in support of Going, Going…, their ninth studio album released by Scopitones on September 2 which is being funded through PledgeMusic. Each of the 20 (yes, 20!) new songs are also accompanied by a special short film, which are being projected behind the band at a short series of dates in September, when the album is being played in full. However, the winter dates (including Liverpool’s O2 Academy 2) will see the band perform just some of their new songs, mixed with other tracks from across their three decade-long history. 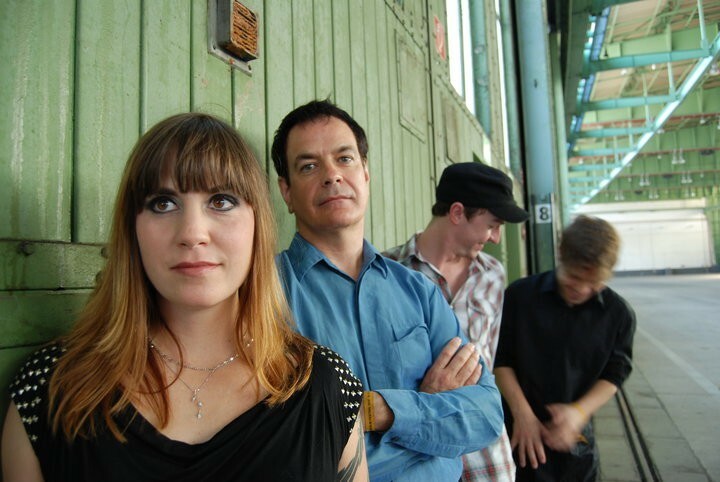 This is their first visit to Liverpool since coming to town on their Hit Parade tour in October 2013, with the band now consisting of Katharine Wallinger on bass, drummer Charles Layton, and second guitarist Samuel Beer-Pearce alongside ever-present singer/guitarist David Gedge. Tickets are now on sale from here and below you can listen to a new track entitled Bear.